SARVER, Pa. (Sept. 5) — Rick Eckert of York, Pa., made some very satisfying — and profitable — history Saturday night, becoming the first home-state driver to capture the Firecracker 100 presented by GottaRace.com at Lernerville Speedway. 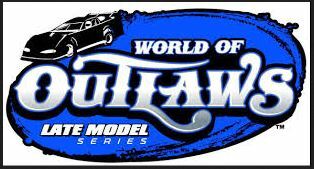 CONCORD, N.C. - Sept. 5, 2015 - The 2015 World of Outlaws Late Model Series championship battle is headed toward a showdown at the Bad Boy Buggies World Finals in November at The Dirt Track at Charlotte Motor Speedway, but series officials are already looking ahead to 2016. SARVER, Pa. (Sept. 4) — Shane Clanton of Zebulon, Ga., returned to his winning ways on Friday night, scoring a convincing victory in the World of Outlaws Late Model Series Working Man 50 at Lernerville Speedway. Taking advantage of his position starting spot, Clanton jumped into the lead at the initial green flag and never looked back in his Ron Davies-owned Capital Race Car. He brushed off a mid-race threat from the Josh Richards of Shinnston, W.Va., en route to beating the red-hot Rocket Chassis house car driver by 0.932 of a second. ERIE, Pa. - Aug. 23, 2015 - Josh Richards of Shinnston, W.Va., wrapped up a perfect weekend on the World of Outlaws Late Model Series with a dominating victory in front of a near-capacity crowd Sunday night at Eriez Speedway. CHILLICOTHE, Ohio - Aug. 22, 2015 - Josh Richards of Shinnston, W.Va., put on another stellar performance Saturday night at Atomic Speedway, leading all 50 laps of the night's main event to complete a sweep of the 3/8-mile oval's World of Outlaws Late Model Series doubleheader weekend. CHILLICOTHE, Ohio - Aug. 21, 2015 - Josh Richards kept his recent World of Outlaws Late Model Series hot streak rolling Friday night with a convincing victory during the first of the national tour's back-to-back nights of racing at Atomic Speedway. Chub Frank has extra reason to be excited for this weekend's World of Outlaws Late Model Series events with the national tour set to visit a pair of tracks that are particularly memorable to the veteran Bear Lake, Pa., driver. Frank, 53, will join the rest of the WoO LMS touring stars in visiting Atomic Speedway in Chillicothe, Ohio, for separate WoO LMS programs on Friday and Saturday before heading to Eriez Speedway in Hammett, Pa., for another event on Sunday. WINCHESTER, Va. - Aug. 15, 2015 - Rick Eckert's first weekend driving a Longhorn Chassis ended in triumphant fashion Saturday night at Winchester Speedway. In his third night out in his new Longhorn mount, Eckert, 49, of York, Pa., led every lap of Saturday's Gunter's Honey 50 to earn $10,650 for his second World of Outlaws Late Model Series victory of the season. BUDDS CREEK, Md. - Aug. 14, 2015 - Josh Richards is making the most of the World of Outlaws Late Model Series' visit to the Mid-Atlantic region. Richards, the three-time WoO LMS champion from Shinnston, W.Va., raced to his second victory in as many nights Friday evening at Potomac Speedway, leading all but the opening lap of the Gunter's Honey 50 to earn $10,700 in the second leg of the national tour's three-race Mid-Atlantic weekend. DELMAR, Del. - Aug. 13, 2015 - Josh Richards took advantage of Austin Hubbard's misfortune to claim his fifth World of Outlaws Late Model Series victory of the season in Thursday's Fulton Bank 50, earning a $10,725 payday at Delaware International Speedway. Austin Hubbard's 2015 season has produced one instance of bad luck after another, but if there's anything Hubbard has learned in his 10 years of Late Model racing it's that his luck will change eventually. NEW RICHMOND, Wis. - Aug. 1, 2015 - Making his historic 2015 season even better, Jonathan Davenport of Blairsville, Ga., led the final 88 laps of Saturday's 28th annual USA Nationals at Cedar Lake Speedway to score a $50,000 victory in the World of Outlaws Late Model Series crown jewel event.